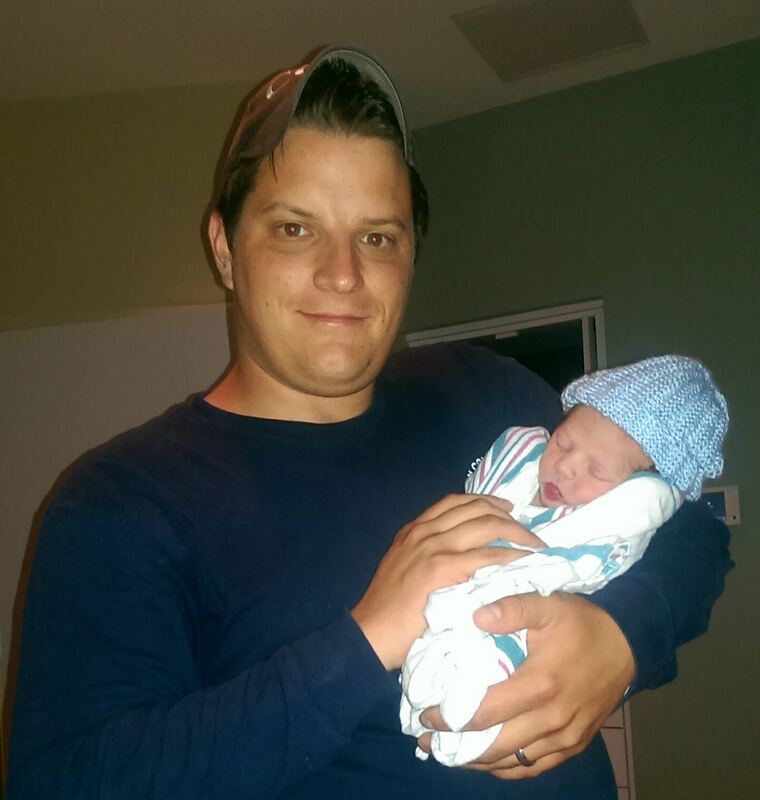 30/May/2014 - We wish to congratulate Firefighter-EMT Ed Augustyn and his wife Angie on the birth of their second son Keegan William Augustyn. Keegan was born Friday 30-May at 09:55. He was 19 inches long and weighed 6 pounds, 12 ounces. Both Keegan and Angie are doing fine. Click here for more information. It was a bittersweet day watching our friend Frank Conrad retire from SLED after serving the state for 25 years. Frank had a profound impact on our county beginning in the late 90s after we started our fire investigation unit. 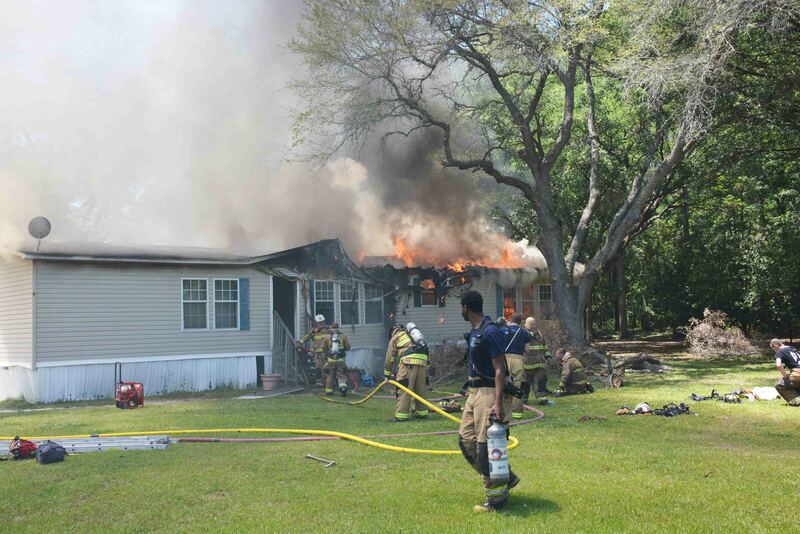 During the first three years we began investigating fires, Frank spent a great deal of time in Colleton which eventually lead to the arrest of nearly 30 arsonist and a reduction in structure fires of over 44%. Click here for more information. Two teenagers were injured during a shooting incident which occurred on Patterson Street Sunday morning 25-May around 02:00. At 02:11, a southbound car traveling on Green Pond Highway near Gervais Street, flagged down a Deputy Sheriff. 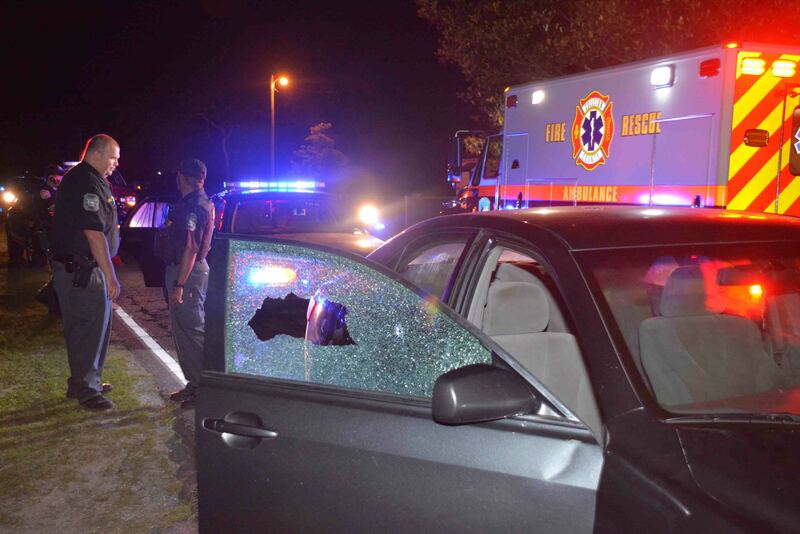 Two windows on the car were shattered and several bullet holes were found in the driver’s side. Click here for more information. 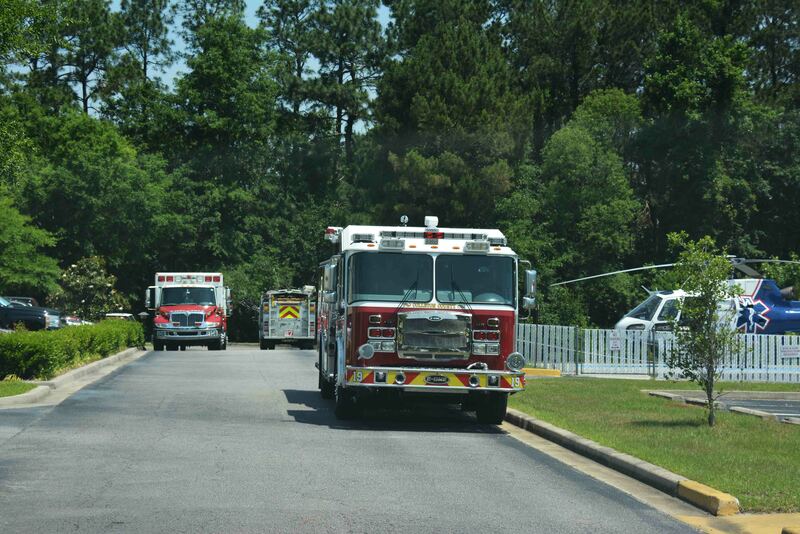 Colleton Medical Center and their staff provided a full course luncheon in honor of Pre-hospital Emergency Medical providers in conjunction with National EMS Week, Wednesday 21-May. Fire-Rescue, Lifenet, surrounding county EMS Departments, several private ambulance providers, Hospital Staff and Doctors attended. Click here for more information. We have been notified by SCDOT that the bridge in the 2900 block of Wolfe Creek Road (Mount Carmel end) will be replaced beginning 02-June. The road will closed to through traffic until second week of August. Please plan accordingly. A 32 year old man received a life threatening gunshot wound in a crowded bar at Leon’s Club, 8150 Round O Road south of Cottageville. The incident was reported at 02:50, Saturday 17-May. Sheriff’s Deputies secured the scene before Medic 9 arrived. Firefighter-Paramedics found the man seated inside the building with a large caliber gunshot wound to the lower back and an exit wound to the lower abdomen. Click here for more information. 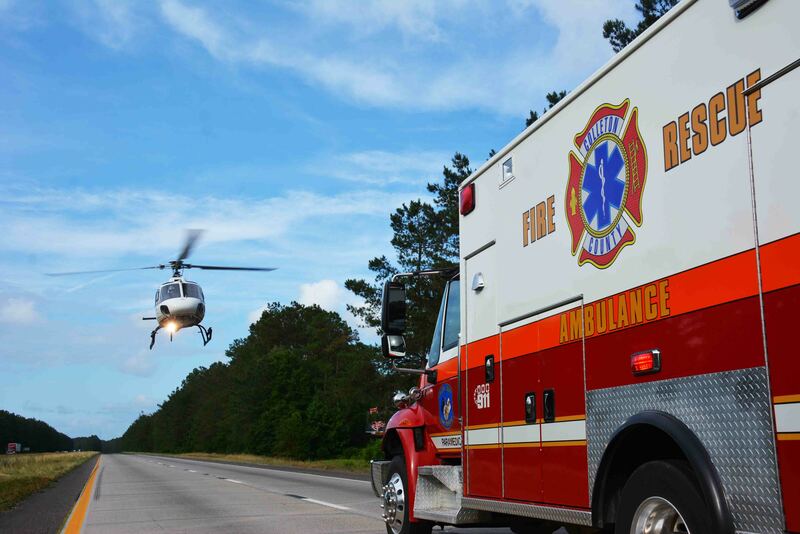 A 62 year old Florida woman received critical traumatic injuries in a single car crash on I-95 near the 48 mile marker northbound Wednesday afternoon 14-May at 17:06. It appeared the car went off of the right shoulder, then over-corrected before entering the median and striking the cable barrier at a high rate of speed. Click here for more information. 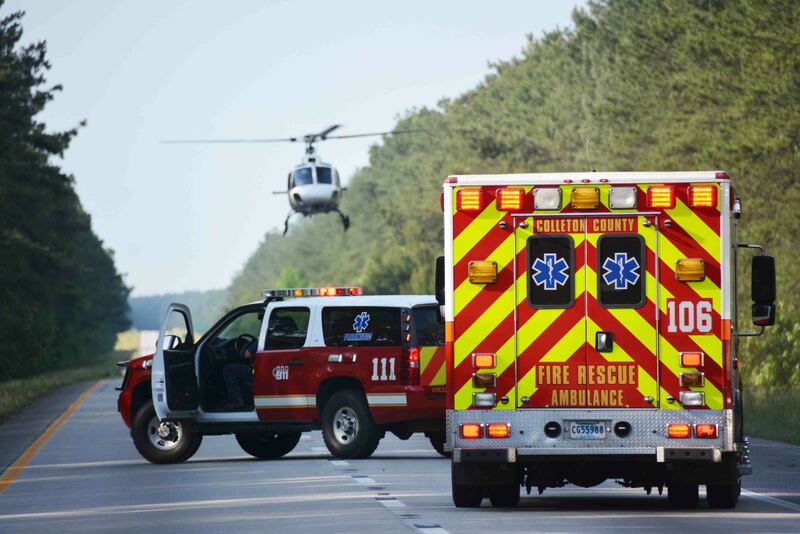 A single car MVC on I-95 near the 61 mile marker, completely blocked the northbound lanes for over an hour, causing traffic to back up over six miles. The northbound Nissan Titan Pickup Truck lost control and flipped over multiple times, leaving a trail of debris before landing upright blocking the travel lanes. Click here for more information. 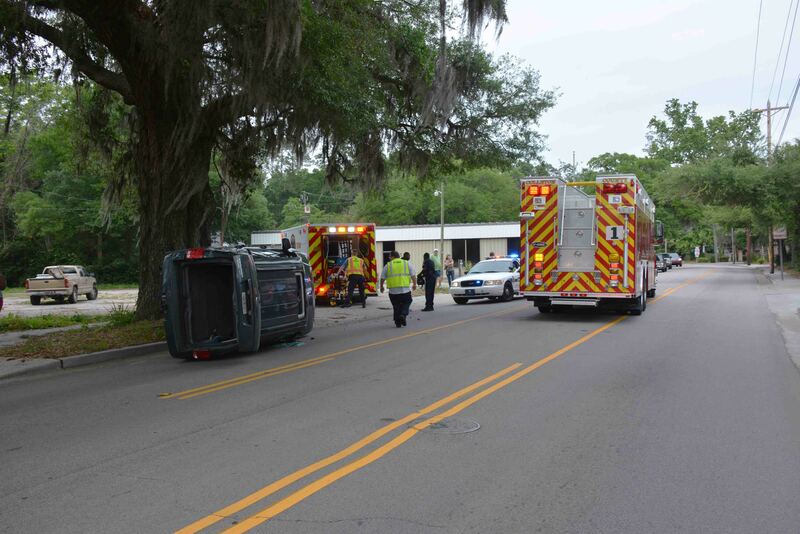 A single car MVC sent a 44 year old woman to Colleton Medical Center Saturday afternoon 10-May. At 17:29, 9-1-1 was notified of an over-turned vehicle with entrapment in the 200 block of Wichman Street. The east bound small SUV lost control and struck a large oak tree before rolling on to the passenger side. Click here for more information. 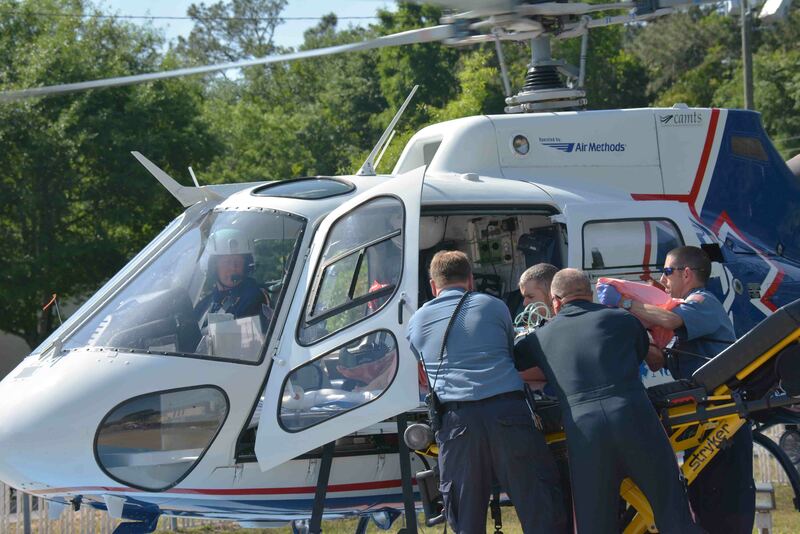 A 60 year old man received a severe traumatic injury to his leg after he lost control of a table saw. The saw cut a path from his thigh to lower leg causing profound bleeding. Firefighter-Paramedics on Medic 19 called for additional assistance as they worked to control the bleeding and establish IV lines to replace his blood loss. Click here for more information. At 12:04 Wednesday afternoon 07-May, Fire-Rescue was sent to 251 Nunuville Road for a report of smoke coming from a residence. Engine 19 arrived to find a doublewide mobile home with heavy smoke visible and flames coming from the roof. Crews deployed two 1-3/4 handlines and entered the structure. Click here for more information. 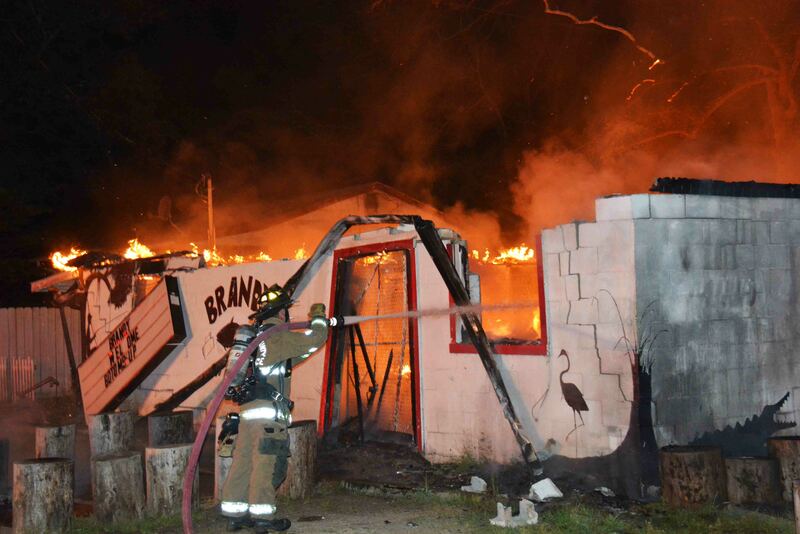 A local rural landmark was destroyed in an early morning fire Sunday 04-May. At 04:54, Fire-Rescue was sent to 26409 Augusta Highway, Brandy’s Social Club, for a reported fire in a building. Engine 9 arrived to find the building had already been destroyed and was almost burned out. Click here for more information. 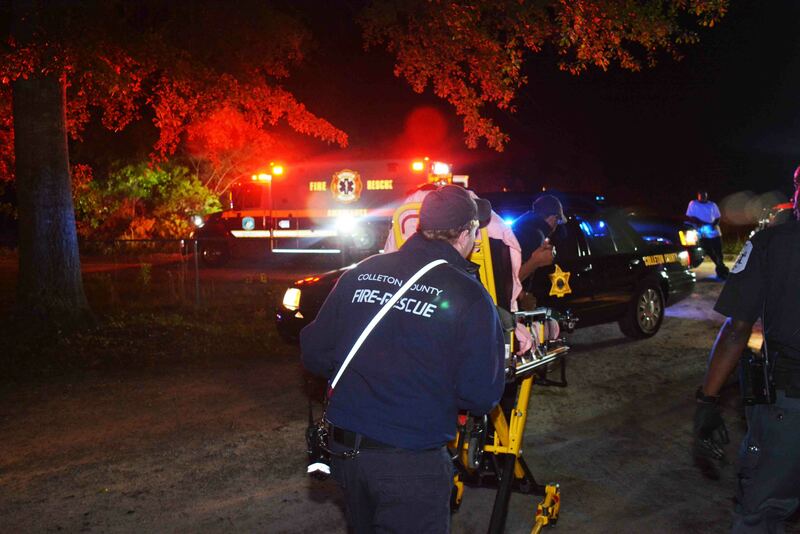 Two teenagers received non-life threatening injuries during a shooting incident that occurred at 109 Jerry Street, east of Walterboro Saturday evening 03-May at 23:00. Fire-Rescue was sent to the address to treat a 16 year old girl who was shot in the leg. 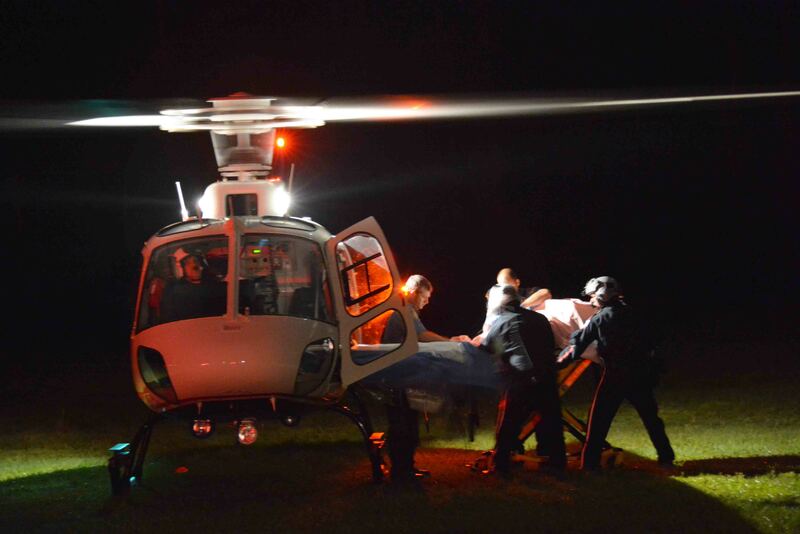 The girl received a single GSW to the left thigh and was in stable condition. Click here for more information. 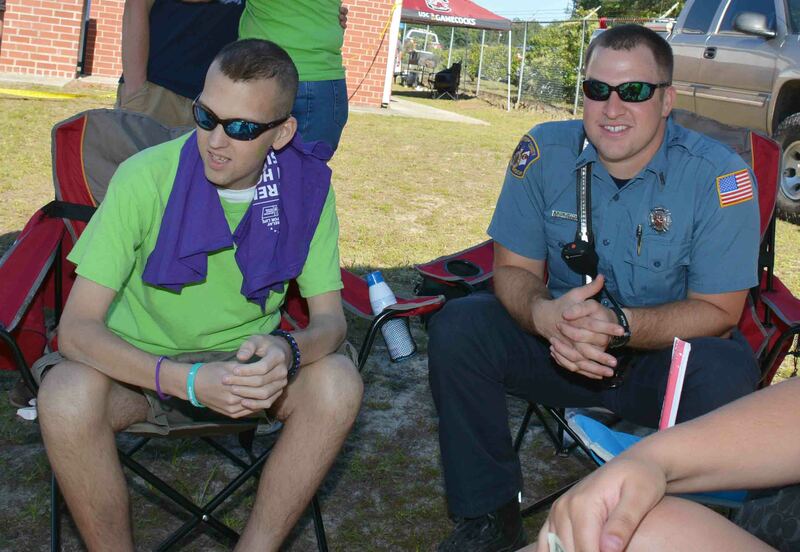 Fire-Rescue operated the concessions stand and provided emergency medical coverage for Relay for Life again this year. All proceeds were donated to the organization to help fight cancer. Paula Jacques coordinated the event and was assisted by several firefighters and their families. Click here for more information. 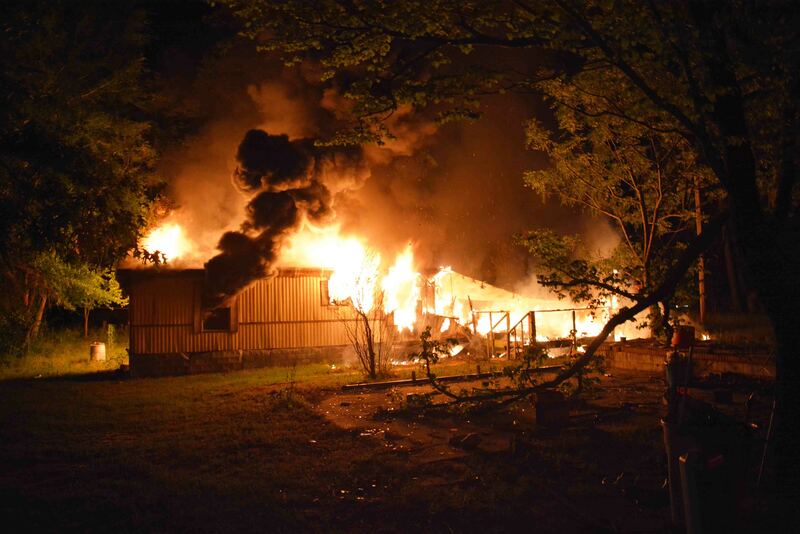 A Springtown man escaped a house fire uninjured Friday evening at 9383 Augusta Highway. At 23:00, Fire-Rescue was sent to the area by callers advising the home was on fire and endangering other nearby homes. Engine 17 stationed in Springtown arrived to find the singe wide mobile home approximately 80% involved. Click here for more information.